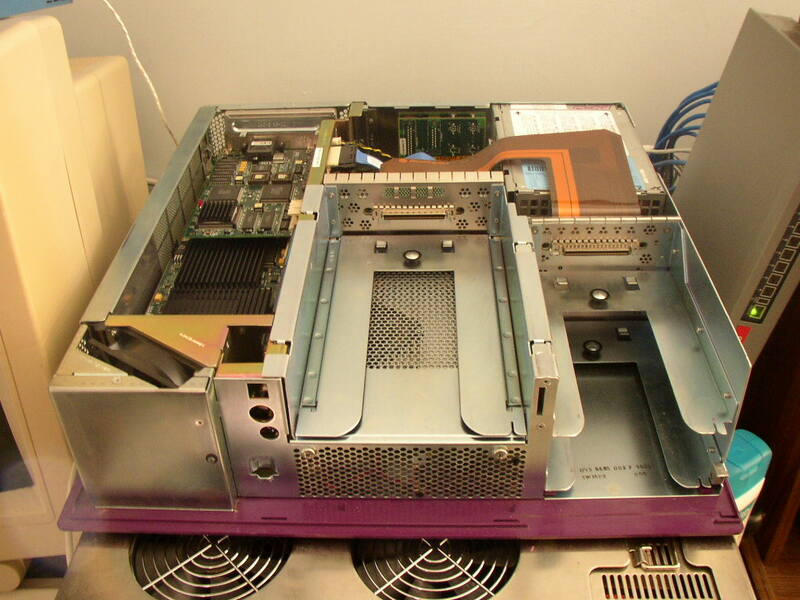 The Silicon Graphics Indigo² was designed to be a high-priced, high-power graphics workstation, for any kind of graphics you could throw at it. 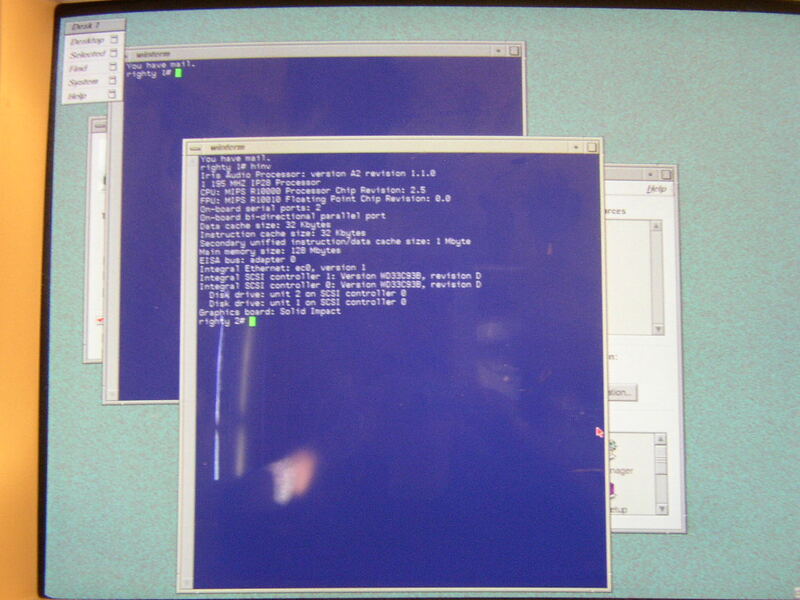 The line up was the Indy, a basic desktop, the Indigo 2, a beast of a workstation, and the Onyx, the render server. 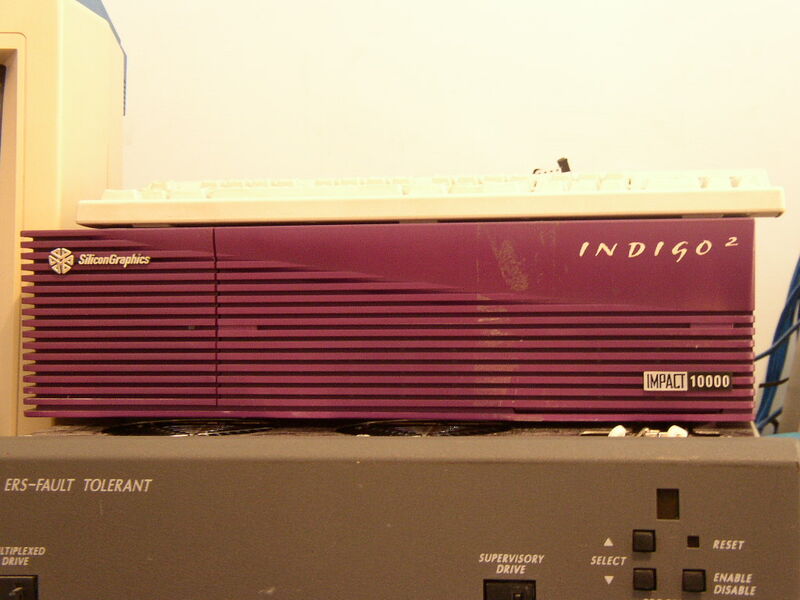 The Indigo² also is extremely expandable, with four GIO64 ports (As in, 64 bits wide). 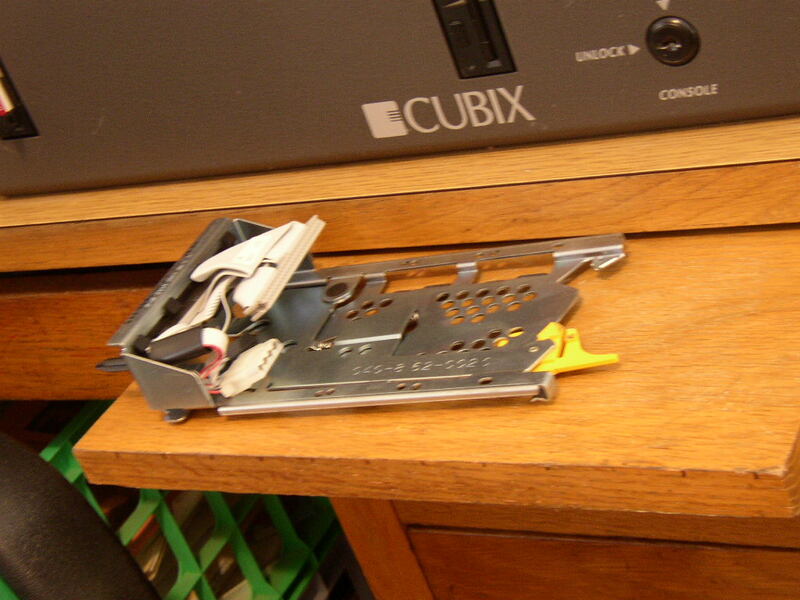 SGI decided that to help increase the chances of other manufacturers designing cards for the Indigo² they would use a slightly more standard bus type also, and so the cardplane also has three EISA slots. These are in a shared style arrangement, where if there is an EISA card in the slot, you can't insert a GIO64 card, and vice verse. At the core of the system is a MIPS RISC processor. The Indigo² is a single processor only system, but accepts five different types of processor, R4000 (100mHz), R4400 (150mHz, 175mHz, 200mHz, 250mHz), R4600 (133mHz), R8000 (75mHz) and R10000 (175mHz, 195mHz). For only the x86 famaliar out there, the MIPS processors don't need huge amounts of CPU mHz to be powerful processors, and a 195mHz R10k is on par with a 450mHz Pentium III... But it depends entirely on what you're rating it on! The MIPS processors have excellent floating point performance, which as graphics stations is quite important. The Indigo² uses fairly standard 72 pin SIMMs FPM 36bit parity memory, the IP22 (R4k, R4400, R4600), IP26 (R8k) can use up to a 64MB stick, while the IP28 (R10k) can use up to a 128MB stick. The memory is installed in groups of four, in three banks - as in a maximum of twelve sticks of memory, giving either 768MB or 1.5GB of memory maximum. The reason for installing in groups of four and allowing so many sticks of memory at one time is actually quite a good one, this allows the system to interleave memory read/writes over memory, for faster access. A variety of video cards were available for the Indigo², XL, XZ, XZ Elan, Extreme, SolidIMPACT, HighIMPACT, HighIMPACT AA and MaxIMPACT - in that order of performance (and price). The XL/XZ/Extreme Indigo²'s are in a teal case, while the IMPACT series machines are in a purple case, as mine is, with a SolidIMPACT card. 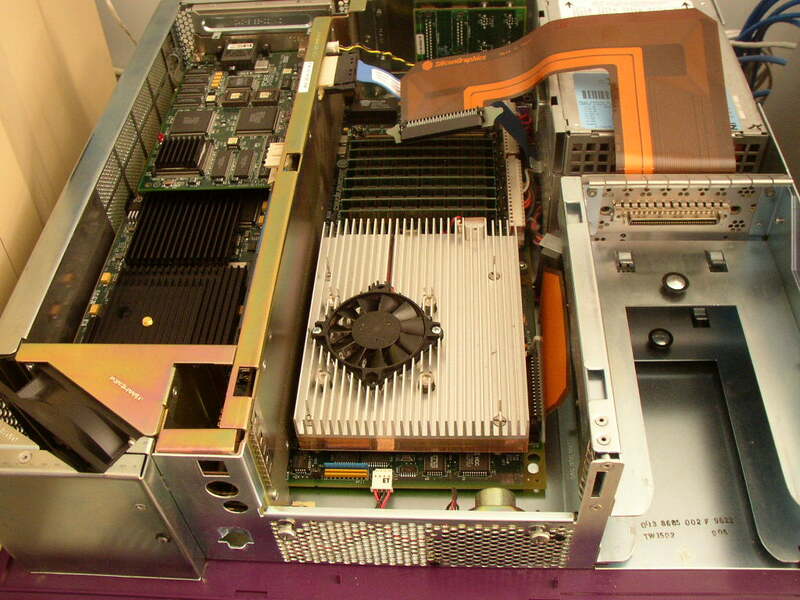 The SolidIMPACT took up one GIO64 slot, the HighIMPACT two GIO64 slots, and remarkably the MaxIMPACT used three GIO64 slots. My Indigo² is in a dual-head configuration, which is only possible using two IMPACT cards, one of which (The secondary) can only be a SolidIMPACT. As it is, I have two SolidIMPACTs. To make things even more interesting, not only can you have nine different processors, twelve sticks of memory, and up to four cards in the machine, there is five different power supply units to choose from. Yes, really. The low-end PSU runs the Extreme, XZ & XL graphics on IP22 machines, the next IMPACT graphics cards on IP22, then one to do dual-head on IP22, next the IP28 PSU and lastly one for doing dual-head on IP28 processors. (In order, part numbers: 9430814, 060-8001, 060-0021, 060-8002 and 060-0027). 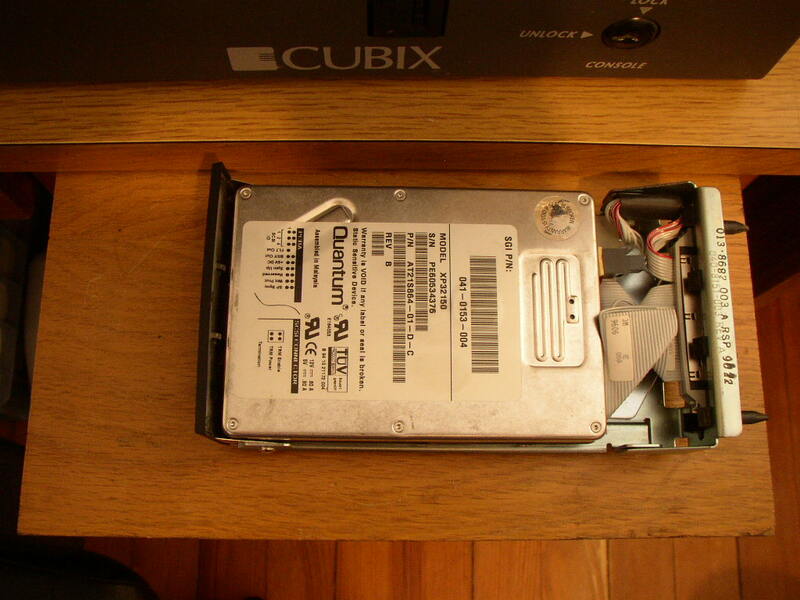 I have the 060-8002 power supply unit, but I'm using it to dual-head anyway and haven't seen any problems... yet. There are many peripherals you can pick up for the Indigo², including various video capture and production options, which is an important aspect of the Indigo²'s function. Unfortunately, I have none of this equipment so I'm unable to tell you much about it.